The Literacy and Reading Section and the Information Literacy Section are seeking proposals for a program to be held at the IFLA Congress in Milan in August, 2009. It is no longer enough to be simply print literate in the twenty-first century. The complex world in which we now live requires fluency in many literacies. Through formal presentations and group discussions, this program will explore the ways in which libraries can actively promote multiple literacies. The program will feature up to six invited papers, each focusing on a different twenty-first century literacy. We are looking for papers on basic print literacy (combating illiteracy), fluent print literacy (combating aliteracy), and information literacy. We also invite paper presentations that feature other literacies. Possibilities include multicultural literacy, visual literacy, media literacy, civic literacy, or economic literacy, to name a few. Papers chosen for presentation will avoid repetitive definitions of literacy in general and focus instead on the particular twenty-first century literacy being addressed. They will be specific about how libraries can promote that literacy. They will be grounded in theory, research, and/or practical applications. Proposals should be sent to Alison Ernst (aernst@nmhschool.org or Alison.Ernst@comcast.net ) by November 15, 2008. Please indicate “IFLA proposal” in the subject line. Finalists will be notified by January 15, 2009, and will be expected to submit final versions of their papers in one of the official IFLA languages by May 15, 2009. Presenters will have fifteen minutes to present their papers at the program, and time will be allowed for a moderated discussion by attendees. For more information, please contact Sylvia Chevillotte, Chair of Information Literacy Section, at Sylvie.chevillotte@univ-paris1.fr or Ivanka Stricevic (Chair of Literacy and Reading Section) at ivanka.stricevic@zg.t-com.hr . Please note that it is the speakers’ responsibility to find funding for their participation. 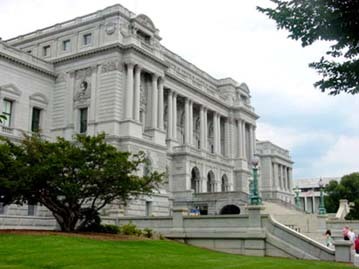 Sta per partire un interessantissimo ciclo di conferenze organizzato dalla Library Of Congress dedicato al tema nati digitali: se li conosci non li eviti. Young people today born into a digital world are experiencing a far different environment of information-gathering and access to knowledge than a generation ago. Who are these “digital natives” and what are they thinking? How are they using the technology, and are IT experts adequately responding to them? Della serie mi piacerebbe ma chi ci va a Washington? Meraviglie della Rete i seminari si possono seguire qui www.loc.gov/today/cyberlc ma non in diretta.